The Makai Golf Club at The St. Regis Princeville Resort is located on the beautiful North Shore of Kauai. 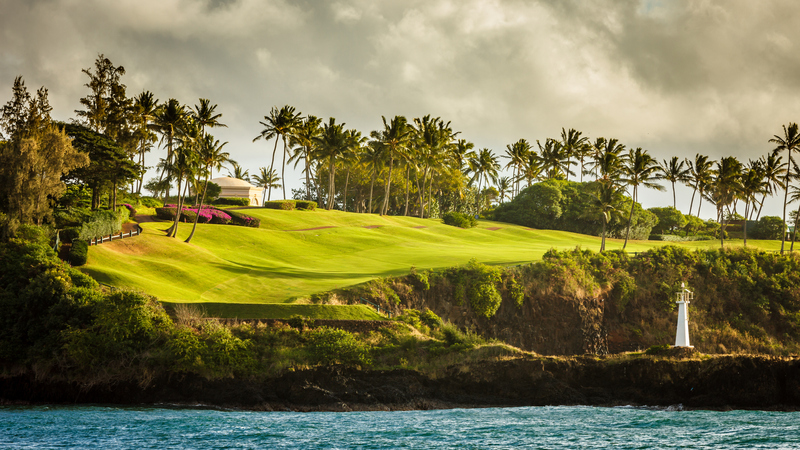 Rated in the Top 100 Greatest Public Golf Courses in America (Golf Digest 2015/2016), the #3 in the state of Hawaii (GolfWeek), and added to the list of America’s “Top 5 Great Golf Settings” (National Geographic Traveler). The Makai Course winds it way around serene lakes, native woodlands and the spectacular coastline with views of Bali Hai and Hanalei Bay. The course plays to a par 72 with four different sets of tees that can be stretched to more than 7,200 yards from the tips. For the casual golfer who wants to enjoy a leisure round of golf with family and friends, Makai Golf Club is also proud to offer the popular 9-hole Woods Course. 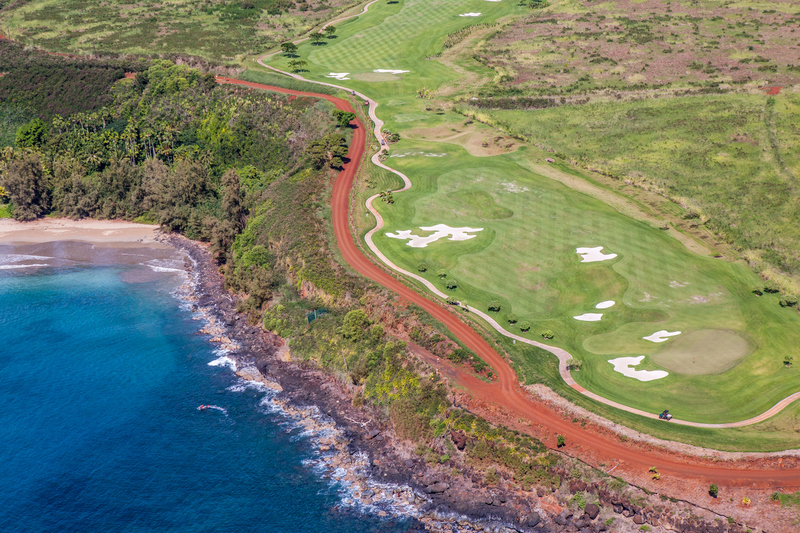 The Woods Course is a fun and relaxed layout, winding through the native woodlands of Kauai's north shore. The practice facility includes two large new practice tees, a practice fairway bunker, seven target greens with bunkers, a teaching tee, and short game practice complex. 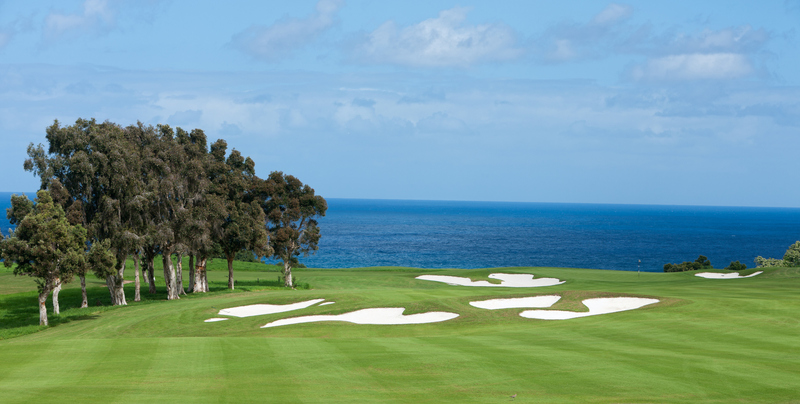 First built in the 1930s, this classic course offers oceanfront golf holes located just steps to the Pacific Ocean. The Wailua Golf Course hosted 3 USGA Amateur Public Links Championships and is voted by Golf Digest as one of Hawaii’s best 15 golf courses. Also rated #3 course in Hawaii by The Golf Channel. Tee Time Reservations - For 2 or more players, may be made up to 7 days in advance by calling from 7:00a.m. HST 808-241-6666 or in person. Single players are sent out on a stand-by basis. Group information is available through the same phone and email contacts. Beginners and slow players are requested to start after 12 noon. Afternoon Twilight Play - Starts at 2 p.m. daily. No tee time reservations are issued. Players are sent out on a first-come-first-served basis. Morning Twilight Play - Starts same time as the first tee from the #10 tee for 9-holes only. Periodically weekday morning twilight play is cancelled for course maintenance work. Call that day to inquire of any morning twilight play cancellation. The course winds through 216 acres of undulating terrain, orchards, gardens and native landscape. Artistic bunkering filled with brilliant white sand contrasts the meticulously manicured fairways, creating one of the most impressive visual layouts in the state. Among members, the challenging 14th hole, sometimes described as “a quintessential Weiskopf par 4,” has become legendary—and not just because of its dramatic ocean views, occasionally populated by spinner dolphins and humpback whales.